When a Babylonian vampire comes to old Japan, an army of Japanese demons and ghosts gather and battle him. | Not bad but not as great as "Majin"
When the Babylonian evil known as Daimon (Daemon) is unearthed from his underground crypt, he begins his reign of terror by traveling to feudal Japan to conquer its people. 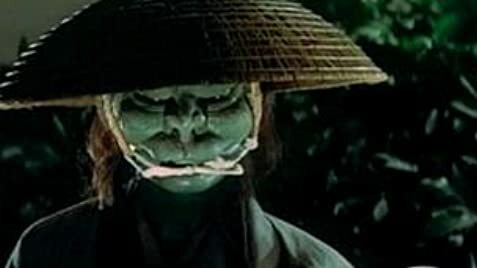 Standing in his way is a veritable army of strange and bizarre Japanese "Yokai" (ghosts) each with unique personalities and supernatural powers. While I liked much of the creature effects for this film, I wasn't too thrilled with the story. Unlike Daiei's "Majin" movies, "Yokai Daisensou" is a bit too comical and goofy for my tastes. There were some genuinely creepy scenes and the gyokaih costumes are inventive and interesting.